There are news that other people involved in this financial embezzlement ( Mehregan Amirkhosravi )is also in Canada after escaping Iran to Turkey and via Turkey to Canada and Living in Montreal together with his wife Tooba Abdollahzadeh Siahkali and their childeren. According to "Hafteh" an Iranian community publication in Montreal which first reported about Mr. Mehregan Amirkhosravi and his family , his 18/19 years old daughter "Heyva" who is a student in Montreal University has a house worth close to one million dollar. One wonder how much his son's ( Hirad) house wortht of ?!! Mehregan Amirkhosravi is brother and partner of the company known as "Amir Mansour Arya" economic development company. Tomorrow Tuesday Nov.1, 2011 Mahoud Ahmadinejad and his cabinet Minister of Finance Mr. Shamsoldin Hosseini will attend in an open Majles ( parliament )session . The Mp's called Ahmadinejad's minister of Finance for impeachment on the recent financial embezzlement and his handeling and role in the situation as the Minister of Finance in the Islamic Republic Banking system.Ahmadinejad in the past few weeks was warning every officials /authorities not to enter in the red zone (according to him, his cabinet was the red zone)questioning or impeaching his ministers . Now the red zone has been breached by MP's, i wonder what Ahmadinejad will do tomorrow in the majles?.Apparently he is behind his ministers and thats why he is going with his Finance Minister to Majles to defend him . The MP's on a petition with 22 signature called for Finance Minister's impeachment and it will happen tomorrow in an open majles session . In the past Khamenei the leader of the Islamic Republic in his speech on embezzlement called for harshest punishment for those involved in 3000 ( $3 billion Dollar )Billion Tuman financial embezzlement. Big fishes related to high ranking officials usually scape from prosecution and infact get better positions sometimes. One of these big fish who was involved in this embezzlement is Mr. Mohammad Jahromi the Managing director of "Iran's Bank of Saderat". He is the son inlaw of Ayatollah Nategh Noori the past majles speaker and member of the Assembly of Expert and past head of Khamenei's office. In another news Mr. Ali Akbar Javanfekr media advisor of Mahmoud Ahmadinejad said: The parliament and the Judiciary Power acted carelessly in embezzlement.According to Fars News Agency ,Mr. Javanfekr said that ; the 3000 billion Tuman embezzlement is the result of carelessness on the side of Judiciary power and parliament.Because the accounts auditing and inspector general supposed to do their job and they were careless.Mr. Javanfekr also disclosed about a corrupt business deal by"Sherkate Maskan va Sakhtemane Jahan " ( Jahan residential building construction ) which works under the city of Tehran (City Hall in Tehran). Mr. Javanfekr believes that; this company is also using unhealthy and corrupt way of business, doing damage to countries economy. Read more in IRAN WATCH CANADA on this issue. Demonstration in al-Qamishli(Qamişlo,Syria)-Oct.28, 2011.Ousting dictators means kicking them out from Door and not letting them back from Window ! "Islamic Republic of Financial Embezzlement"
One put it as " Ali Baba & 40 thieves"
Mahmoud Reza Khavari ( The general manager of Bank Melli in Iran ,who escaped to Canada) was given last chance to return to Iran ! The name of Mohammad Reza Rahimi, first deputy of Ahmadinejad and Esfandiar Rahimmashaei ,former head of Ahmadinejad's office is also in the list of those accused in this embezzlement. It has been claimed that, Khavari left Iran with the help of Rahimi first deputy of Ahmadinejad. Ejeei : " Khavari will face more charges if not returned ." Mr. Ejeei public prosecutor general of the country : "My advice to him is ,if he comes back, it will be in his interest,but we are not uninformed about his situation." Anyhow ,the agents of the ministry of information are following the subject and have informations which will be given to us . But i have to say that ; we are disappointed from his return , and if we feel that ; he is not going to return to the country , we have no other choice but to go through "Interpol " and legal channels. "Added Ejeei the Islamic Republic public prosecutor General. Based on the latest news , Mr. Mohammad Jahromi son inlaw of Ayatollah Nategh Noori a member of assembly of expert ( Khobregane Rahbari and past head of Khamenei's office manager ) has been arrested in connection with 3000 billion tuman financial embezzlement. Mr. Jahromi was the general manager of Saderat Bank another major bank in Iran. Mr. Ejeei today announced that; 67 persons were charged with high ranking as managers and officials in "Amir Mansour Arya " company .Amir Mansour Arya is the accused number one in this 3000 billion Tuman financial embezzlement. At present 31 people are in detention ,added Mr. ejeei. Minister of finance is going to be impeached in Majles( Parliament) . Many MP's signed petition to call Ahmadinejad for questioning . 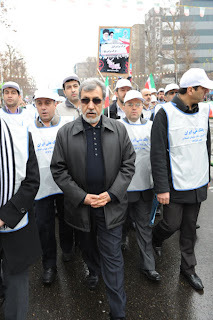 One MP Mr. Ali Motahari resigned because of delay by Majles( Parliament ) to bring Ahmadinejad for questioning. 1200 billion tuman embezzlement by Fatemi circle. "The documents on Kish Financial embezzlement is complete"
These are taken from Islamic Republic official websites. Country is in economic mess ..... I dont know what else to say. Khamenei -Ahmadinejad and Ghadafi ! 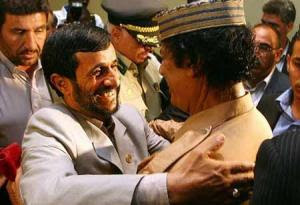 Picture -Khamenei and Ahmadinejad with Late dictator of Libya !! Could Islamic Republic regime in Iran be next to Syria to fall ! Since the presidential election coup in Iran and the Iranian people uprising, two plus years ago- 4 million Iranian people poured into the streets and protested against the election coup and called " where is my vote? Khamenei has made more public speech than previous years. Iranian People know why this is happening? situation is becoming really really dangerous for dictators in the Middle East particularly Iran and Saudi Arabia.People in these two countries like Syria and others won't let it go , this situation will continue- There is no way to deceive new ,educated , non -religious, more informed young generation. The dictators should calculate ,"what to do , to be or not to be"! ?, its their choice to make, To take lesson from Ghadafi and his childeren's situation to Hosni Mubarak and others situation......Time is running out for dictators! 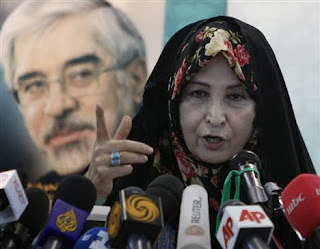 "The Mourning Mothers of Laleh Park " criticized the reports by Ahmad Shaheed the UN reporter on Human Rights in Iran!!! 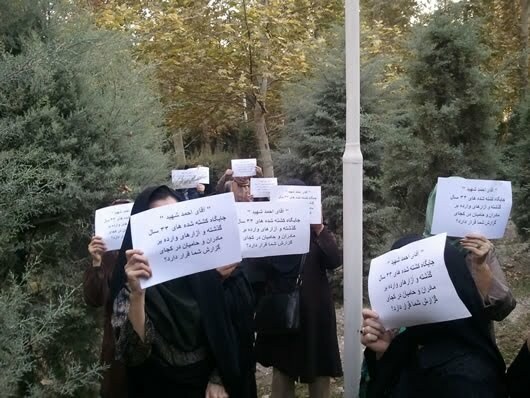 On Saturday afternoon the "Mourning Mothers of Laleh Park " gathered around the "Abnama circle" and criticized the interim report by Ahmad Shaheed the UN Human Rights reporter on Iran. The mothers said: Although there were reports about violation of so many cases ,but it seemed the report has made discrimination of reporting about all the cases. The placard in the hands of those mothers reads:"Mr. Ahmad Shaheed ! Where is the place of those killed during the last 33 years and the harassing or hurting of those mourning mothers and their supporters in your report?"!!!??? They added in their statement that : After months of expectation ,the first reports of Mr. Shaheed was released. Although we are happy that ,the report protested on the violation of the human rights of many freedom loving,but alas that the report discriminated and chose the policy of " One of us - not one of us " in its report. They asked: Is this just , not to report about all thosed killed or tortured and imprisoned during the last two years ,including mothers who were under constant threat ,harrasment ,imprisonment ,torture among them Ms. Leila Seifolahi and Jila Karamzadeh Makvandi who were sentenced to four years in prison ?!! Mr. Shaheed earlier said ,he will speak to the Islamic Republic officials whether his report is correct or not -due to criticism by the Islamic Republic .The mourning mothers are asking Mr. Shaheed ,when and how many times the officials in the Islamic Republic confessed they have violated the human rights?!! The mothers said: Not only the Islamic Republic officials, but we must have equal opportunity to speak about our pain and sufferings too. The mothers wanted investigation in the mass killings of political prisoners in 1988 be also included in the report. At the end ,the "mourning mothers of the Laleh Park" demanded in the next report their cry for justice be included. 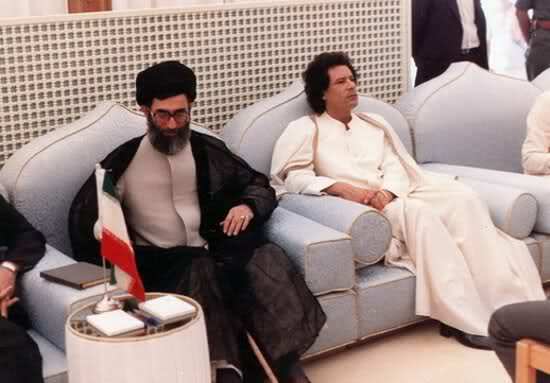 Khamenei the revisionist !!! Division of thought is widening among top Islamic Republic leadership!!?? Tha war of words among top leadership is widening !!! Khamenei in the last few weeks spoke about changing the general policy on presidential election with "parliamentary democracy" !!!??? What he means is president be chosen by the Members of the Parliaments rathar than people. The proposed parliamentary political structure will change the system of the Republic!!?? Two different and clear views on the political system. Khamenei as Revisionist in the Islamic fundamentals of the Ayatollah Khomeini -the leader of the Islamic Revolution. Friday 21,10 ,2011.Syria- People vs Dictators - "Arab spring " and New generation of change in political system in the Middle East ! End of all dictators -running from their own people- "No one become happy of the death of anyone even his enemy " is what i believe. Iran has slammed a report from a United Nations investigator that cites a "dramatic increase" in executions in Tehran along with other alleged human rights abuses.U.N. special investigator Ahmed Shaheed issued an interim report on Wednesday that says more than 200 officially announced executions have taken place in Iran so far this year. He also accused Iranian authorities of conducting more than 300 secret executions at the Vakilabad prison in 2010.Additionally, Shaheed said Iran has been detaining political dissidents for prolonged periods and persecuting religious and ethnic minorities.Iranian judiciary chief Ayatollah Sadeq Larijani says Shaheed's report is "full of lies" and reflects the "hostile views" of exiled Iranian dissidents and "nothing more." He also accused the U.S. of supporting terrorist operations against Iran and said he had ordered the country's state prosecutor to gather evidence proving U.S. crimes in Iran and elsewhere.Shaheed's findings were based largely on interviews with victims of state-sponsored abuse because Tehran has refused to allow him into the country.Wednesday, the U.S. urged the international community to "redouble its condemnation" of Iran for the alleged crimes. State Department spokesman Mark Toner said the report shows Iran is continuing a "brutal repression" of its citizens. 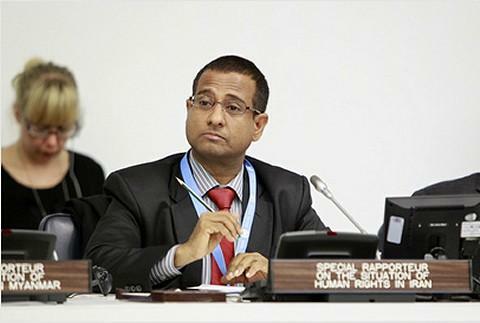 He called on Iran to give Shaheed immediate access to the country.The U.N. Human Rights Council named Shaheed as a Special Rapporteur on Iran in March. 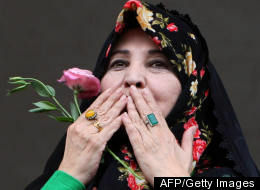 Zahra Rahnavard: We want our freedom only when other political prisoners are released ! Zahra Rahnavard is the wife of Mir -Hossein Musavi one of green movement leader after the election coup by Khamenei - Ahmadinejad. 240 days have passed since their arrest by direct order from Khamenei and Mohammad Sadegh Amoli Larijani head of judiciary power. Including Mehdi Karoubi and his wife Ms. Fatemeh Karoubi are under house arrest.Musavi's childeren say,its more than 55 days that; we have no new about our parents.Mr. Musavi's daughter said: "One of the agent repeatedly say to us:" look at my neck ,axe can't cut it , it looks like a mountain.I'm speaking with you from high position ,we are from top of the regime". 8 months has passed since their arrest.It seems their freedom will come with the freedom of all political prisoners by a wave of uprising against regime. Where is Kohyar Godarzi the young Iranian political prisoner?What a regime-Islamic?! !Hostage taking.Where is Kohyar? Where is he? Help save his life . Changing presidency to prime ministership in Iran!? 1- Khamenei leader of the Islamic Republic in Iran spoke about the possibility of changes in the governing system ,replacing the presidency with prime Ministership.He was traveling in the western part of the country when he said:"At present the governing system is based on presidency and president is elected by people ,which is good ,but if in the far future, we feel that parliamentary system of governing is better ,then we must change it based on Islamic Ideals, and the constitution allow us to do these changes.". We sent 106 reports to committee dealing with the presidents offences! 2-Mr. Pour Mohammadi inspector general of the Islamic Republic on speaking with students said: The volume of the debt in financial embezzlement is more than 3000 Billion Tuman .He added : Esfandiar Rahim Mashaei (head of president office and adviser) and Rahimi ( Cabinet Minister ) were involved in other problems and they have received a lot of help.The Government officials won't give us the documents they have and still make big contracts with the same people who brought this Financial embezzlement.On Khavari,he said: He left the country to attend a seminar and if he won't return ,charges against him in the court will become certain. Just want to mention this ,based on serfing on news and hearing from Iranian community in Toronto, Anger is building up in Iranian community against Canadian Government! 3- Iranian community in Toronto is wondering how Canada is becoming a safe haven for high or low ranking Islamic Republic officials who are definitely ( if carefuly looked at their past records) has commited crimes against Iranian citizens and human rights . Anger among Iranian community in Toronto from Canadian government is building up for letting these high or low ranking officials becoming Canadian citizen,making business or entering in Canada . President of the Bank Melli before revolution in a letter to M.R. Khavari:Mr. Khavari,I do not know where you are right now and what you are doing? Mr.Jalil Shoraka the president of the Bank Melli before the revolution in a letter explained to Mr. Khavari how he left Iran during the revolution 32 years ago ,but returned to Iran to help Bank Melli go through the difficult time.In the letter Mr. Shoraka said: "Due to our similar situation i would like to indicate some points to you. I dont know where you are and what you are doing? I'm sharing some ideas, so you know what to do . At the end, he is prescribing Khavari to come back to Iran ,like what he did and nothing happened to him. Because he was also afraid if he returned,the revolutionary Government will do harm on him . "Right now, you are on junction of decision making,like what i was before. If you dont come back ,you won't achieve anything,and even the developed world won't bring you security and comfort. Look at your records ,if there were offences in the Bank , you should come and compensate, even if you feel guilty , still your stay in abroad doesn't help you should come, because all we need to do is to translate the document and send to authorities to arrest you and in a few month, you will be in Iran ,but ,what a difference there is between this way of coming or to come as a nationalist to help the national bank ." UNITED NATIONS — UN Secretary General Ban Ki-moon yesterday expressed strong criticism of Iran's human rights record, voicing concern about the use of excessive force after the recent presidential election, the harassment of women's rights activists, the ongoing execution of juveniles, and the continued persecution of minorities, including Baha'is. 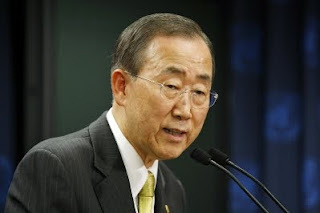 In a 19-page report written specifically to address a request made last December from the UN General Assembly about human rights in Iran, Mr. Ban said there have been "negative developments" in the area of civil and political rights since 2008. The year saw "an increase in human rights violations targeting women, university students, teachers, workers and other activist groups, particularly in the aftermath of the elections," Mr. Ban said. "Members of various ethnic and minority groups faced harassment, violence and, in some cases, persecution," he added, noting that "a pattern of concern arises with respect to the protection of minorities, including the Baha'i community, the Arab minority in Khuzestan, the Nematollahi Sufi Muslim community, the Kurdish community, the Sunni community, the Baluchi community, and the Azeri-Turk community." The report made specific mention of seven imprisoned Baha'i leaders who were arrested in the spring of 2008 and have since been held in Evin prison, noting that the UN High Commissioner for Human Rights has written to Iran "on numerous occasions to express concern and seek clarification" about the status of the seven. Mr. Ban also noted that during the year reports "continued to be received about members of the Baha'i community being subjected to arbitrary detention, confiscation of property and denial of employment, government benefits, and access to higher education." The report, which was dated 23 September 2009 but actually released yesterday, focused extensively on the government's response to post-election protests. It noted that Mr. Ban himself had on 22 June issued a statement "expressing dismay at the post-election violence, particularly the use of force against civilians, which had led to the loss of life and injuries." That statement, the report noted, called on the authorities to respect fundamental civil and political rights, especially freedom of expression, freedom of assembly, and freedom of information. It also called for an immediate stop to the arrests, threats, and use of force. Yet, the report noted, a spokesman for the Iranian Foreign Ministry said the following day that he rejected the secretary general's statement. Like a similar report he issued last year, Mr. Ban also took note of reports of Iran's continuing execution of juveniles, reports of the use of torture, and the oppression of women's rights activists. "I encourage the Government of the Islamic Republic of Iran to address the concerns highlighted in the report and to continue to revise national laws, particularly the new penal code and juvenile justice laws, to ensure compliance with international human rights standards and prevent discriminatory practices against women, ethnic and religious minorities, and other minority groups," he said in the report's conclusion. Bani Dugal, the principal representative of the Baha'i International Community to the United Nations said Mr. Ban's report was extremely welcome – and timely. "Although Mr. Ban has praised Iran for some developments, such as government's pursuit of the redistribution of wealth and poverty reduction, overall the report is quite damning," said Ms. Dugal. "He also makes a number of suggestions about how Iran could make a constructive response, such as by opening the country to visits by special UN human rights monitors, and we sincerely hope that Iran will heed his call. "Mr. Ban paints a grim picture of the situation in Iran, clearly indicating that the human rights situation has worsened since his report last year. Our hope, therefore, is that the UN General Assembly will again adopt a resolution this year urging Iran to live up its international human rights obligations." "The situation of human rights in the Islamic Republic of Iran"
Urgent....Alert.....Two Iranian Kurdish political prisoners on death row ! Help save their life. Islamic regime of Public hanging !?? Suprem court of the Islamic Republic has approved the death sentence of two Kurdish political prisoners who are currently in "Rejaei Shahr " prison in Karaj .The sentencing has been given to the two prisoners according to a report by "Harana". They have received the sentencing verbally while their duty council is unaware of the approval. Mr. Loghman Moradi and Zaniar Moradi are accused of assassinating the son of Friday prayer imam of Marivan city and two co-travelling people with an order from British Spy agency and a Kurdish political party.Judge Salavati of branch number 15 of the court of revolution ordered the preliminary death sentence. These two political prisoners in a letter described about the scenario written by security agents and under torture were forced to confess and were threatened to sexual assault with bottle. They say their confession is worthless. 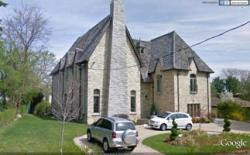 Are those black cars parked in front of Khavari's home in Toronto the Canadian security forces car ?!!?? Islamic Republic regime in Iran sentenced Mr. Jafar Ganji a young man to five years imprisonment for allegedly organizing history reading group ! Mr. Jafar Ganji a sympatizer of Nahzat Azadi political group who organized a group to read history, was sentenced to five years imprisonment.The judge who sentenced Mr. Jafar Ganji is the infamous judge of the Islamic Republic Salavati .Judge Salavati is the judge of branch number 15 of the court of revolution.Mr. Ganji's other charges are: gathering to disturb the national security,presence at illegal gatherings and propagating activities against the Islamic Republic. An Iranian banker who resigned and fled to Toronto amid a multi-billion dollar embezzlement scandal also has ties to a bank blacklisted by the UN Security Council, which alleges the bank has financed Iran’s nuclear missile activities. Iranian-Canadian Mahmoud Reza Khavari is a former top official and board member at Bank Sepah, according to his resume. The Iranian bank was blacklisted by the UN in 2007 for allegedly providing support to the country’s Aerospace Industries Organization and other firms known to help spread weapons of mass destruction. If Khavari were on American soil, he could, under that country’s domestic law, be arrested and questioned about his leadership role at the bank, according to a former U.S. Treasury Department official. Here in Canada, the scandal-plagued banker has owned property for at least a decade and is now believed to be staying at his $3 million home in the affluent Bridle Path neighbourhood. Bank Sepah is not named on Canada’s domestic blacklist, but Bank Melli — the state-owned financial institution Khavari was managing director of until last week — is listed as an organization that could or does contribute to Iran’s nuclear activities. Canadian officials are not commenting on the issue. Khavari resigned from his post at Bank Melli and fled Iran amid allegations by Iranian officials that he played a key role in what is described as the largest embezzlement in the country’s history. No charges have been laid against Khavari, but prosecutors are seeking to question him about his involvement. Bank Sepah was blacklisted by the U.S. government in 2007 for allegedly being the “financial linchpin” of Iran’s missile procurement network. The bank’s U.S. assets were frozen and the American government made it illegal for its citizens to do business with Bank Sepah. “Under U.S. law, doing business with Banks Sepah and Melli is akin to doing business with Osama bin Laden, or any other recognized terrorist organization,” said Avi Jorisch, a former policy adviser with the U.S. Treasury Department’s office of Terrorism and Financial Intelligence. “If he was here in the United States, the government would have full authority to arrest Mr. Khavari for his leadership role at two financial institutions that have been blacklisted for proliferating weapons of mass destruction and facilitating terrorism,” said Jorisch, who founded the Red Cell Intelligence Group, a consulting and training firm that specializes in national security issues. U.S. officials have said that since at least 2000, Bank Sepah had been providing a variety of critical financial services to Iran’s missile industry. Khavari was chairman of Bank Sepah’s board of directors from December 2003 until at least March 2005 and held a variety of other roles prior to that, according to the bank’s annual reports and his resume. Payam Akhavan, professor of law at McGill University and an expert on his native Iran, said it is a security concern when people with ties to blacklisted banks want to come to Canada. “For several years we have expressed concerns to the government about the presence and influence of Iranian officials, many of whom like to make Canada their home,” Akhavan said. Khavari flew to Canada last week after resigning from his post at Bank Melli, Iran’s largest state-owned bank. In his resignation letter, Khavari, who had been with the bank since 2009, blamed another bank as the source of the fraud and said he resigned “to respect public opinion,” according to the state-run Mehr News Agency. A statement released by Bank Melli said Khavari would be in Canada for one day on business and was expected back in Iran last Thursday. Mehr reported that he did not arrive on his scheduled flight. Toronto property records in Khavari’s name date back to 2001, when he took out a mortgage for a $615,000 property on Elmwood Ave., in North York, with his spouse. At one time, Khavari owned a Toronto-based company called Soaring Properties, formerly known as Soaring Travel. A Bridle Path house on Suncrest Dr. is still registered in Khavari’s name and was bought for $2.93 million in 2007. A man wearing a tie and jacket sat in a car parked outside the house on Wednesday, blocking the entrance to the driveway. He said Khavari was unlikely to speak about the embezzlement allegations or his involvement with Bank Sepah. The banker did not respond to repeated messages left at the house. The Canadian government has no extradition treaty with Iran and cannot legally extradite people who are likely to face the death penalty or torture. “If he goes back to Iran, his life will be in danger,” said Morteza Abdolalian, an Iranian-Canadian blogger and journalist who lives in Oakville. Mohseni Ejei prosecutor General of Islamic Republic:If Khavari won't come back on a certain time,we will take legal action to bring him back!?? Mohseni Ejeei prosecutor general of the Islamic Republic in response to a reporter who asked him; if Mr. Khavari won't come back to Iran what legal action would you take ? said: "Mr.Khavari officially announced he is coming back to Iran and if he didn't come back on certain time and if his charges increase and if there is feeling that his presence in the country is necessary ,certainly we would take legal measures to bring him back." Mr. Ejeei added: "If the executive officials knew Mr. Khavari had dual citizenship and hired him to the Bank Melli ,have done an illegal act." Canadian -Iranian are concerned about Canada becoming a safe haven for Islamic Republic officials !!?? According to some reports Mahmoudreza Khavari the managing director of Bank Melli ( Iran's National Bank) , A high ranking Islamic Republic official became a Canadian citizen before the biggest financial embezzlement was disclosed, question is ,how did he become a Canadian citizen? Based on his position,ranks and involvement in the Islamic Republic regime, Iranians believe These type of officials may have been involved in the torture or killing of innocent Iranians after the revolution and thereafter!!?? IRAN WATCH CANADA: Trying to find the right words ,legally speaking Islamic Republic Officials are the worse human rights violators. America and European countries have released a list consist of Islamic Republic officials name who are human rights violators and Canada must follow and implement the same on Islamic Republic officials. We the Iranians want the Canadian Government to review the cases of those Islamic Republic officials and their families living in Canada not as diplomat but as Canadian Citizens. Close to 1400 Iranian have signed a petition requesting Minister of Citizenship and Immigration Canada not to let Canada to become a safe haven for Islamic Republic officials. Officials believe this financial embezzlement effected on people's trust to Islamic Republic and Banking system.
" During last three days ,aside from 22 accused ,another 20 were summoned for investigation and for 14 of them a temporary detention was issued." added a report. As a result of this financial embezzlement the job of 20,000 workers who were working for "Arya group" /company ( One of the company involved in this embezzlement)is in question!!!?? Mostafa Pourmohammadi chief inspector General:During last three years 13 letters were sent to president on violation of banks ! In response to Mahmoud Ahmadinejad who earlier blamed inspector general's office for not doing their job which ended with biggest financial embezzlement in the history of Iran,Mostafa Pourmohamadi the inspector general of the Islamic Republic said: During last three years 13 letters were sent to president ,minister of finance and to Banks general directors and all those letters were about violations of banks.Mr. Mohammadi added that; based on some claims,the misleding group ( Ahmadinejad , his cabinet Ministers and advisers including Mashaei-Baghaei-Ghasemi , some members of parliament, Ayatolah Mesbah Yazdi as their spiritual leader and some other radical -Taleban style Shiite Moslems)had tie with those who created this financial embezzlement. Earlier Khamenei the leader of the Islamic Republic ordered officials to cut off the hands of those involved in this financial embezzlement. Islamic Republic is in a big mess in everything.Iranian people commented on Ahmadinejad's speech in UN,that Islamic Republic can't manage Iran but wants to manage the whole world. 11 members of Majles(Parliament) brought a complaint against Mahmoud Ahmadinejad on embezzlement for possible impeachment !!! Parliament left the "commission on article 90" to look into the biggest financial embezzlement in the history of Iran and on Saturday 11 members (MP's ) in a letter requested from speaker and his deputies to impose Bylaw 233 and call President Mahmoud Ahmadinejad, The Central Bank and Government official who were related to this case file to parliament for questioning and possibly issuing a yellow card against them. Article 233: whenever at least 10 members of parliament bring a pettition against president or Ministers ,the issue will be reviewed w/in 10 days by speaker and his deputies ,and if approved ,it will be read in the parliament and therefter will be followed by judiciary power. Latest news about the biggest financial embezzlement(3000 billion Tuman )in the history of Iranian banking system! Khamenei the leader of the Islamic Republic in Iran:" The continuation of Media uproar about biggest embezzlement is not advisable."!!??? On Monday October 11 while speaking to a number of people participating in Haj ( Travelling to Mecca for pilgrimage) Khamenei spoke about the recent biggest financial embezzlement in Iranian Banking system and said continuation of uproar and hubbob isn't advisable because some are using this issue to bring officials competency under question ,while the Government, judiciary and parliamentarians are doing their jobs. Khamenei personally brought the integrity of the Government officials under question.He said, in the past i had mentioned many times about economic corruption but the government officials did not follow his advice. IRAN WATCH CANADA: It is in Mr. Khavari's interest to speak to Canadian Media about the greatest financial embezzlement in the history of Iran ! More on the Greatest embezzlement in Iran's Banking system. According to the website of "Alef ": " Mr. Khavari wrote a letter to Ministry of Finance & Economy and claimed that he has been insulted and he doesn't wish to speak to Government officials." The website added: " Because the officials at Ministry of Finance were trying to speak to him by phone, he wrote the letter and claimed that he has been insulted and doesn't wish to speak to any Government officials." The same website ( Alef) reported that; Before leaving the country Mr. Mahmoud Reza Khavari was interrogated for several hours about the financial embezzlement of 3000 billion Tuman. A top Iranian banker who resigned amid a massive embezzlement scandal, one that has soured the political fortunes of President Mahmoud Ahmadinejad, has fled the country and is reported to be in the Toronto area – where a $3-million home is owned in his name. The scandal is described as the biggest fraud in that country’s history. The amounts of money involved exceed even the $2-billion loss the Swiss bank UBS recently sustained due to a rogue trader. Iranian-Canadian Mahmoud Reza Khavari was the chairman of the board and managing director of Iran’s largest bank, the state-owned Bank Melli, until he handed in his resignation Tuesday. He flew from London to Frankfurt the next day, boarding a Lufthansa flight to Toronto, according to the Mashreghnews website. Property records show a Toronto home that’s registered in Mr. Khavari’s name not far from newspaper magnate Conrad Black’s mansion in Toronto’s affluent Bridle Path neighbourhood. The Suncrest Drive property was bought for $2,925,000 on July 30, 2007. When The Globe and Mail approached the house Friday, a woman at the property would not answer any questions. The scandal may affect politics in Iran, where Mr. Ahmadinejad has lately been at loggerheads with the ruling ayatollahs. His term concludes in 2013, but his rivals are already working to weaken him. These rivals have tried to tie the controversy to Mr. Ahmadinejad’s chief of staff, Esfandiar Rahim Mashaei, who signed a letter ordering the $600-million sale of a state-owned steel plant. 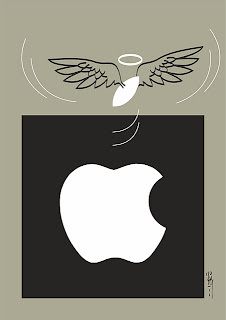 The sale was to a key player in the scandal – magnate Mahafarid Amir Khosravi – who is alleged to have forged letters of credit that he used with several banks to secure financing for his purchase of state-owned companies. It’s being reported that Mr. Khosravi and the heads of two branches of different Iranian banks are among 19 people who have been arrested. “Death penalty could await defendants should their intention to undermine the Islamic ruling system by damaging the economy [be proven],” the Fars news agency said. It unclear what the legal implications are for Mr. Khavari. “It is in Mr. Khavari’s interest to come back to Iran to defend himself against the accusations,” Iran’s top prosecutor, Gholam Hossein Mohseni-Ejei, told the Fars news agency this week. Officials in Canada are not speaking to the case. But the Canadian government has no extradition treaty with Iran, nor can it legally extradite individuals to countries that are likely to torture prisoners or impose death-penalty sentences. “This is a huge huge scandal in the history of my country,” said Morteza Abdolalian, an Iranian-Canadian blogger based in Oakville. He added that bank officials in Tehran have circulated statements reassuring clients and shareholders the scandal will not affect their money. Another top banker, Mohammad Jahromi, head of Bank Saderat, a partly private bank, was also forced to resign this week. He complained he was being made a scapegoat. “Despite my follow-ups and contacting the intelligence ministry and judiciary for the arrest of the main culprits, the main backers of this corruption have publicly blamed Bank Saderat and its manager,” he said in comments carried by Fars news agency. Mr. Ahmadinejad has denied any government wrongdoing and has urged the judiciary to pursue the case vigorously.